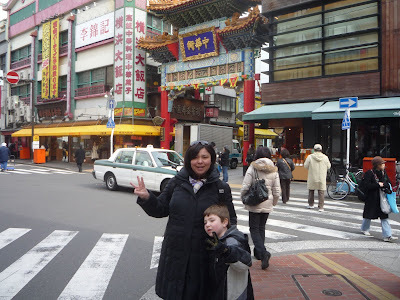 When we planned the Tokyo trip, we did not plan on any day trips outside the city. 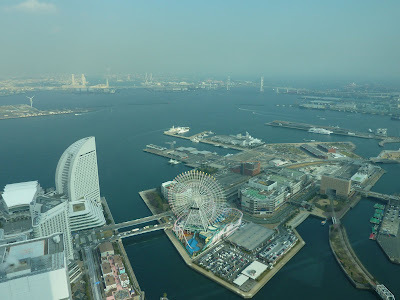 However, we really wanted to take the Shinkasen (bullet train) somewhere and Yokohama seemed to fit the bill. 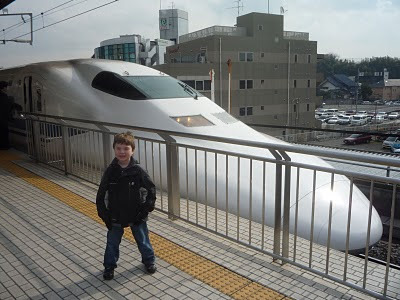 By bullet train it is less than 20 minutes from Central Tokyo and there would be plenty of attractions to keep us busy including Japan's largest Chinatown. The ticket machines are all in English but they are not intuitive and any new transaction takes some concentration. We found the correct Shinkasen machine, bought the tickets and they didn't work at the entry gates. After finding out that our just purchased "Shinkasen" tickets had the insufficient fare for the "Shinkasen" we returned to the ticket office to get new ones. We have no idea why, but we had to pay about 900 Yen more for a supplemental ticket. 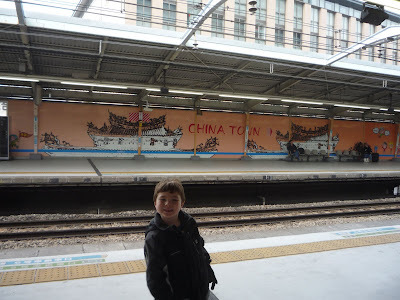 Elliot can still ride the trains for free so we easily saved a $100 by not having to buy him train tickets. Within the city of Yokohama there are several different train lines operated by different companies and it took a little while to find our way. First we got off at the wrong station but when we finally arrived there was no doubt that we were at the right place. 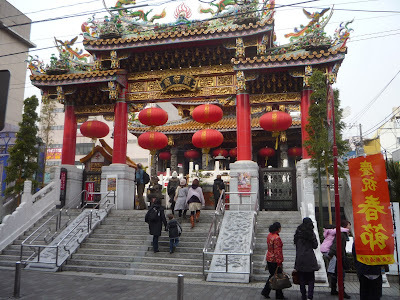 Yokohama Chinatown has four formal gated entrances. 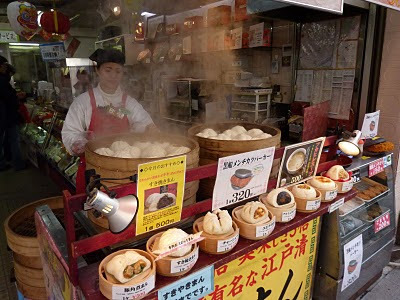 The first thing we saw after entering were the (almost) Frisbee sized steamed buns. These were the biggest we have ever seen and we bought one to share immediately. 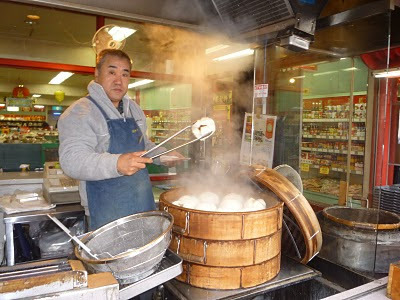 We had no idea that every 5th store would be a steamed bun vendor selling the same thing. Some of them even had signs showing the awards and medals that they had won. Besides the traditional roast pork there were several types of buns that were not identifiable, even with plastic models. We tried several including bean paste and shrimp but restraint was necessary because we planned to visit the Ramen Museum in the afternoon for an education in noodle soup. 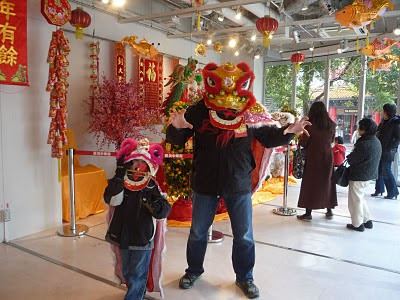 After a visit to the temple, Keith and Elliot performed the Chinese New Year Dragon Dance and they did a good job at scaring away everyone in the vicinity. Gōng Xǐ Fā Cái!!! After strolling around most of the streets and dining on four types of steamed buns, we set our sights on the Yokohama Landmark Tower. After walking almost the entire way a decision(bad) was made to take the subway for the final 1/2 mile walk. Turns out, the underground passages on either side were longer than the original walk. We spent the rest of the morning strolling around Chinatown. Some Chinatowns are nothing more than a few Chinese restaurants on the same block while others are fully thriving commercial centers. 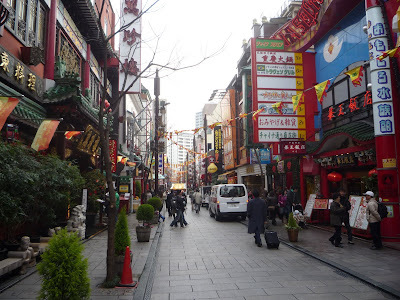 The focus within Yokohama is no longer on the Chinese immigrant population, rather it focuses on retail with a heavy concentration of the stores selling food and merchandise. It was a lot of fun, and like everything else we have seen in Japan, meticulously clean. If you are looking for fake Rolexes and Gucci bags you will not find them here. Like the US Hockey team at the Olympics, the Landmark tower has to settle for second place. It is the second highest building in Japan (Tokyo Tower is the highest) and it has the second fastest elevator in the world (Taipei 101 is now the fastest). 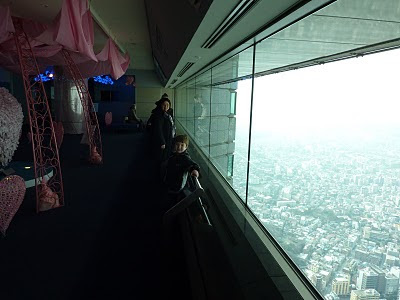 Its claim to fame is the highest observation point in Japan which gave us great views of the city. The Japanese love vending machines and they can be found everywhere selling hot and cold items. 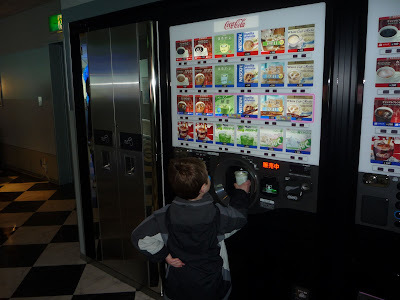 Elliot anxiously awaits a frozen green tea. 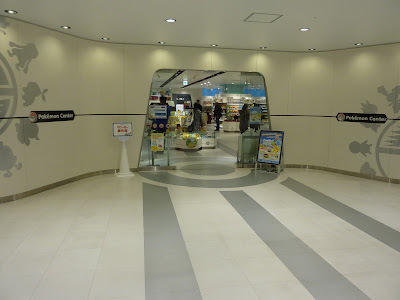 After our visit to the observation deck, we were deposited into a huge mall. 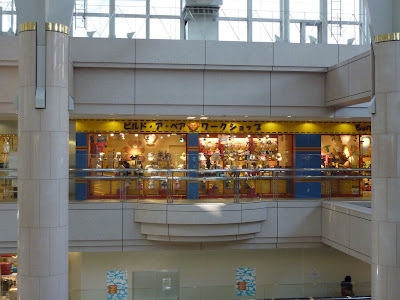 Besides the numerous clothing and food shops, there was an entire store dedicated to Pokémon and even a Build A Bear. We were able to make it out of the mall without any purchases! 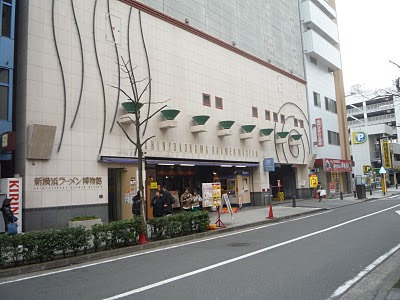 The other reason we selected Yokohama as a day trip was the Shin Yokohama Ramen Museum. 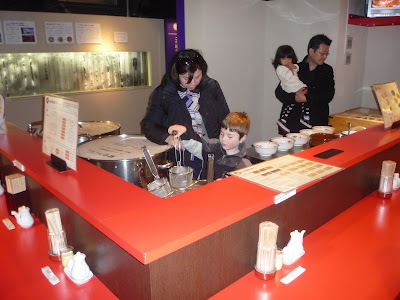 It is an entire museum founded by a noodle obsessed person. We imagine a scene like this:Father: Get off of the couch and find a job Son: I hate everything and I was miserable at my last job Father: OK, I am going to tell you something that my father told me: "Find something you like to do and figure out a way to make a living at it. Fame, fortune and happiness will follow." Son: But dad, all I like is noodle soup and I don't even know how to cook. How can I make a living at that? You can't even have a noodle app on iPhone!Father: You will find a way... Obviously his father was right and the Ramen Museum is a hit. The main level consists of a display of a ramen noodle counter and dioramas representing the history of ramen noodles. 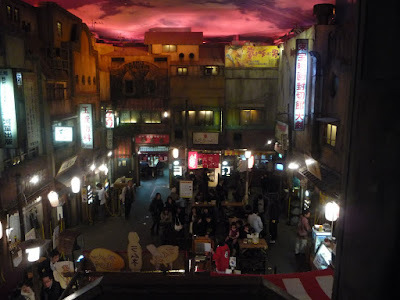 The best part of the museum is the 1958 replica of a town complete with 8 different styled ramen noodle shops which were selected to represent their respective style. 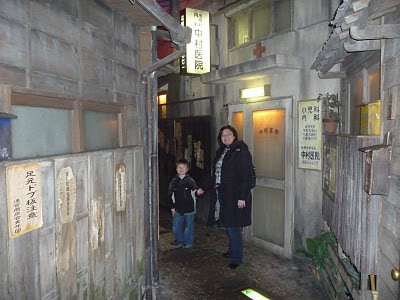 The museum is complete with back alleys for that authentic feeling. 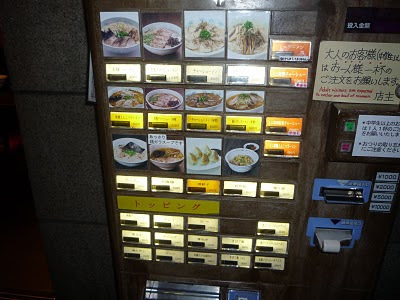 The process of buying anything at a noodle shop in Japan involves purchasing a ticket from a vending machine. Even with a picture and the price we were a little confused because we couldn't read the text, so we pressed the button, put our money in and hoped for the best. We handed over our tickets to the waitress and took a seat. We were rewarded with delicious noodles and soup. So good that we sampled 2 different restaurants to try various styles. 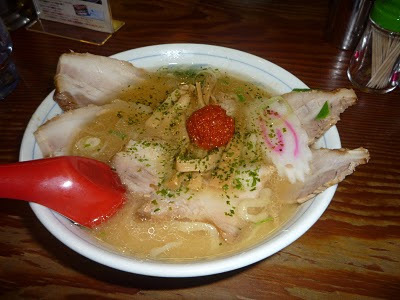 We were tempted to try a third but we were too full and it was time to head back to Tokyo. 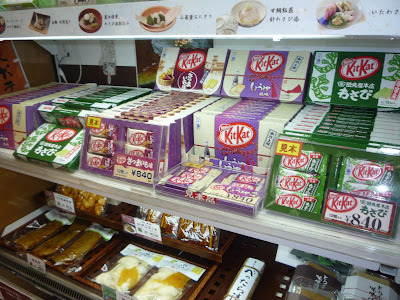 Our friend Maria told us that we should look for Green Tea Kit-Kat bars while we were in Japan. Even with searching every vending machine and convenience store we were unsuccessful. We didn't find the green tea, but they did have special edition Yokohama Berry Cheesecake, soy sauce and wasabi flavors. There is no possible way we can explain the flavors - trust us, they all taste good. Upon returning we learned that Nestle has created 200 different types of limited edition Kit Kats. 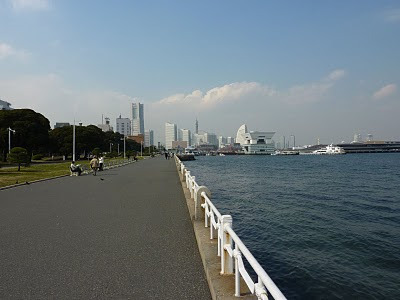 Yokohama was the perfect side trip from Tokyo and a great way to spend our last full day in Japan. Kind of weird how you can be in a huge crowd and no one even comes close to bumping you. I liked the positive spin you put on your Disneyland adventure. To be honest, it's not my favorite place so reading that was physically painful. It was like that in February?!? My 10 year old told me he wants to go there. 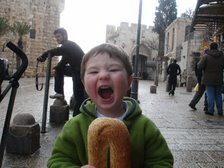 I'm going to enjoy showing him this blog! He'll be so jealous of Elliot!! Tokyo is the main capital of Japan and this is the great country with all the technological advancements and best sightseeing attractions for the visitors as well. This is a great place and very beautiful and attractive destination for traveling in the world. 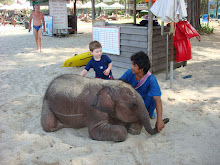 All the places are very much alluring and enchanting and totally indulging as well.